October Mummy in the design of special attention to mothers demand, with a tailored clothing, waist and chest straps and other changes, both pregnancy and postpartum body shape can be changed to avoid the pregnancy clothing can only wear short two Three months of the situation, to extend the wear of maternity dress. - "Business State"
October Mommy started in the late 90s of last century, 15 years of accumulation, already achieved the status of a leader in the domestic maternity dress. Top professional design team, has always been in the product concept and design to lead the trend, all over the country's more than 600 fashion shops, while ensuring absolute leadership in sales at the same time, more caring service by consumers. Sister brand " good news " (UKI) to young pregnant mother brand personality completely segment in "October Mummy" and "Freaky personality"; in September 2011 began agents of the Italian Chanticleer pregnant wear brand "Pietro Brunelli" more Is the perfect occupation of the field of maternity top high-end market. Three major brands, targeting three types of pregnant women to subdivision and focus on the achievements of the maternity dress industry leaders. October Mommy took the lead in the domestic "fashion" element into the maternity dress design, maternity dress out of bloated ordinary stereotypes, so that the most important ten-month woman's life to become the most beautiful ten months. Fashionable maternity dress has attracted the attention of the day after class fashion pregnant mother, the national well-known variety days after the small s consecutive 5 years in October mom personally endorsement, to further pass October Mummy "personality hot mom," the brand image. October Mom passed the ISO9001 quality management system and ISO14001 environmental quality management system certification as early as in 2009, and even surpassed the list of authorized manufacturers and retailers of the 2010 Shanghai World Expo with extraordinary strength. Especially in the field of anti-electromagnetic wave radiation, October Mummy products passed the certification of Shanghai enterprises in 2006. As a founding member of the National Electromagnetic Shielding Material Standardization Technical Committee and vice president of Shanghai Electromagnetic Radiation Association, To promote the establishment of national quality and technical supervision standards, and always stand on the forefront of the protection of consumers rights. In 2008, it won the "Famous Trademark" award and was nominated for 2008Zero2IPO-Venture's Top 100 Most Valuable Enterprises in China. 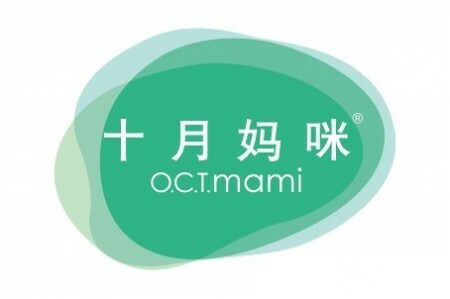 In 2010, it won the award of "Outstanding Marketing Award of China", "Most Investment Value Brand" of China Unicom Gold Award, TOP10 of Fast Company Honor; May 2011, Sequoia Capital, Bega capital initiative, hand in hand with October success. October Mommy is expected to market within 3 years, a new benchmark for the domestic maternity dress industry!